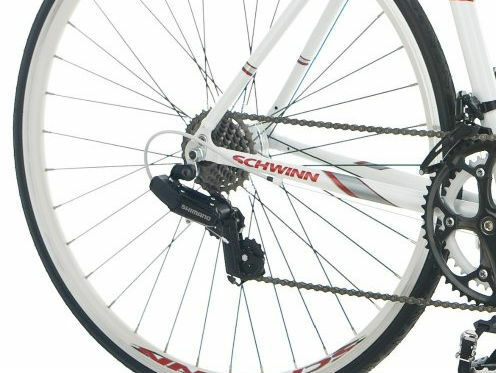 Schwinn is arguably the best brand for reliable road bikes under $400. The Schwinn Men’s Prelude Bicycle is a commuter bike with quality component parts made by Schwinn and other respected brands. 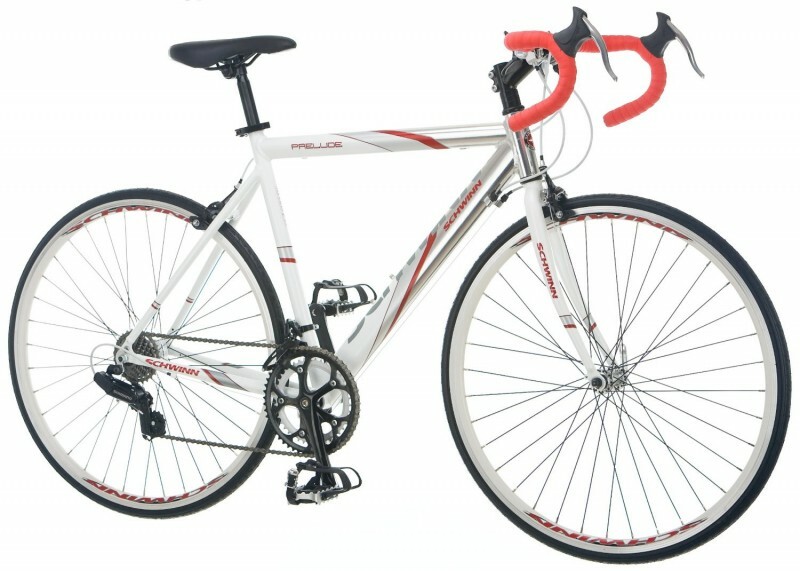 The Schwinn Prelude men’s road bike is excellently suited for pleasure, fitness, and commuting. The aluminum frame with drop handlebars and Schwinn road fork offer a forgiving ride. The shifters are very responsive and the alloy cranks will keep you moving quickly on the deep dish 700c alloy wheels. This men’s commuter road bike is perfect for men who want a good commuter bike but do not or cannot afford to spend thousands. Schwinn is a popular brand because of their long history of quality components and solid builds. This Prelude Bicycle comes in an attractive color design of “BBWhite,” and is currently being sold in one size: 55cm men’s. This Schwinn Prelude has many fine features to boast about. The sturdy and solid construction is one. This 14-speed uses a Schwinn-manufactured aluminum drop bar road frame as well as Schwinn-made alloy rims. This model also features a quick release front hub which has self-centering fork depressions. Rather than using Allen wrenches, the Prelude has quick release seat height adjustments to accommodate riders of nearly all heights. 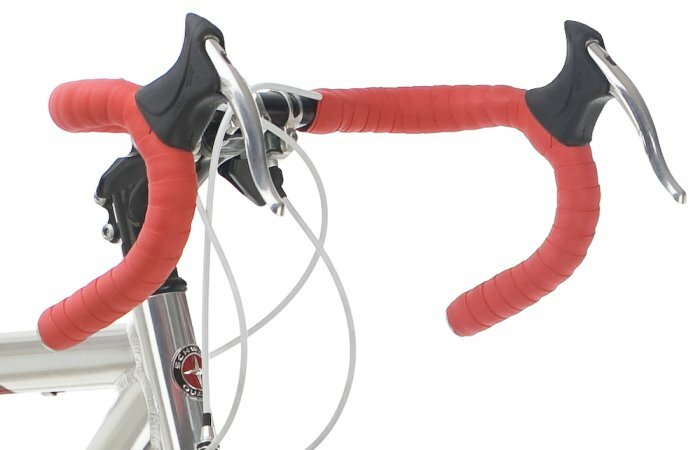 You cannot raise the handlebar stem to make the frame a bit larger. To brake on this Prelude, you have to be in the lower position, which can make you lose a little time if there were an emergency. The tires (700c, 23mm) are not enough to ride over rough terrain, and if the rear tire blows, it is somewhat difficult to remove and reinstall. More importantly, this model is only being sold in the 55cm size. The highlights of this Schwinn Men’s Prelude are multi-faceted. First, is the design. As a jack-of-all-trades bike, this bike has an urban design intended to appeal to a variety of riding types. From commuting, pleasure cycling, family biking, to fitness riding, the Prelude is excellent for all of it. 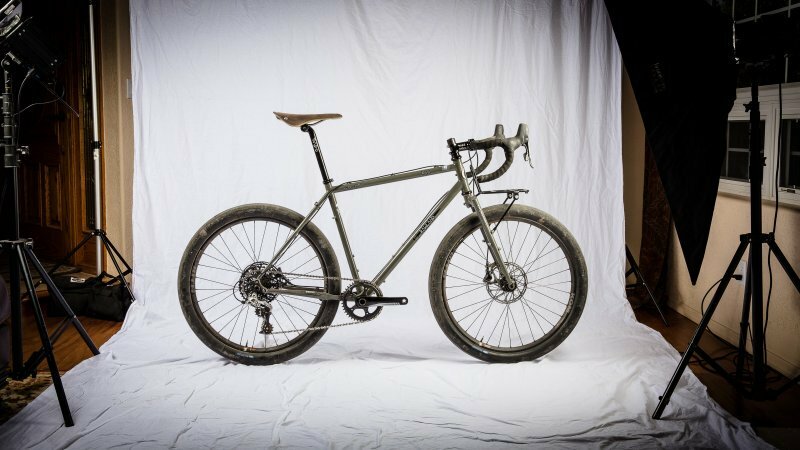 The aluminum road frame is lightweight and features drop handlebars. While this Prelude comes in only one color (BB White), it is an attractive choice for all men. The main body is white with minimal, twisting red and silver stripes; the tires and seat are black; and the handlebars are red. 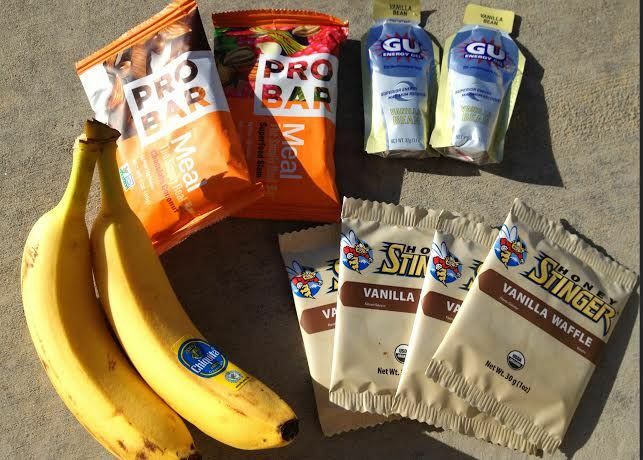 The balance of this model is quite excellent—the bike is very light and the padded tape handlebars are a favorite of buyers. The gearing is great and the shifters are fantastic at going right to the desired gears. The brake calipers do well at centering on the tires. The solid construction and quality component parts of the Schwinn Prelude make for a very reliable and functional commuter bike. The list price for the Schwinn Men’s Prelude Bicycle is around $319.99. You can purchase this 55cm model on Amazon for $279.00. My overall impression of the Prelude by Schwinn is that it is a very solid and reliable road bike. 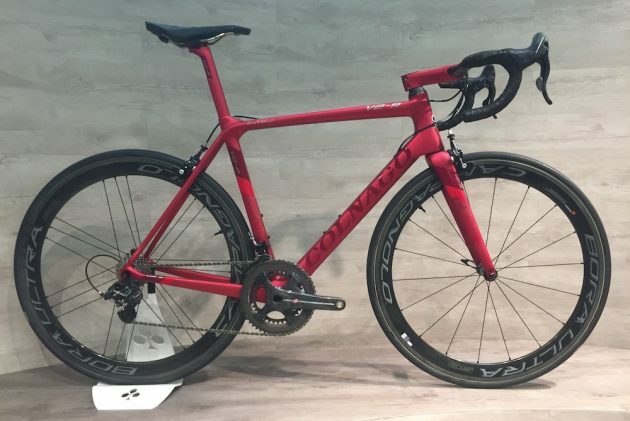 It is very versatile in its possible uses; from commuting, leisure riding, to getting in shape, this cycle is suitable for many types of road use. To get the most out of this bike, it may be best to replace the tires with ones that match your intended usage. This will ensure that rougher roads or usage will not pop or damage the wheels. 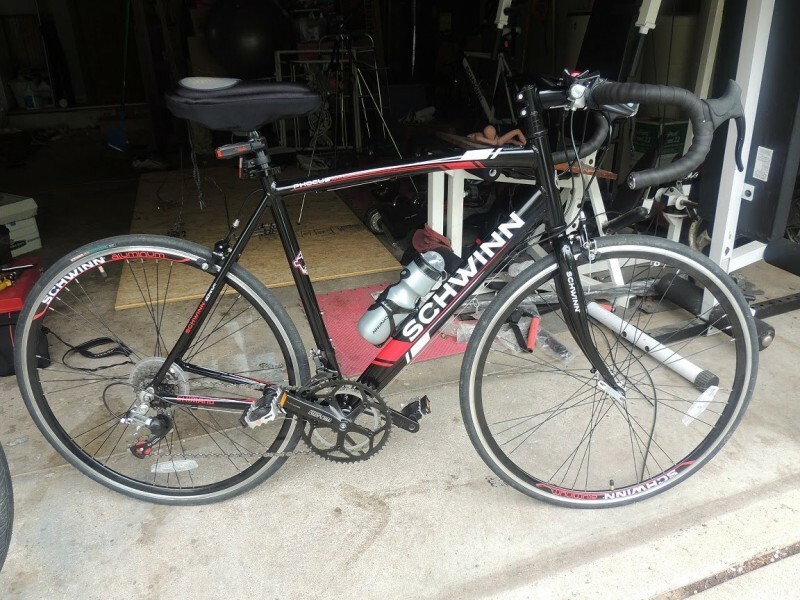 For under $300.00, it is amazing that you can purchase such a respectable road bike, especially from a well-known and respected brand such as Schwinn.